Sophie is an Art Director at adam&eveDDB. She graduated from Watford in 2009, winning the Student Team of the Year award, and was first hired at digital agency Glue before joining DDB to work on more above the line and integrated campaigns. 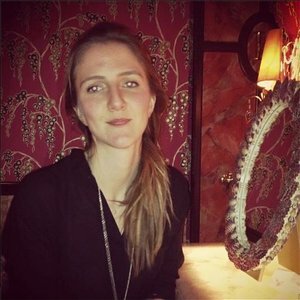 Sophie has worked across a wide range of projects at adam&eveDDB, including one of Sony Mobile’s biggest global campaigns to date. In 2014 she partnered with Miles Carter, and their first campaign ‘Win Christmas’ for Mulberry enjoyed success in various awards shows including the British Arrows, Epica and D&AD. After less than a year of working together, they won the agency’s John Webster award for creative excellence in 2015. More recently, they were the team behind the John Lewis Christmas ‘Man on the Moon’ campaign. She likes Christmas very much.